If you are trying to run a software called service tool to reset Canon printing pads, and it does not answer, follow the steps below to solve your problem. There are many people who use the term in this case is (the service tool is stuck), and still are right, because when we execute this simply leaves us waiting for the coveted message - the process has completed sucsessfully - excuse my English. In some cases, after waiting, the error (006) appears to see this error, and in other cases appears the error (005) which indicates that the service tool is not compatible with the printer. 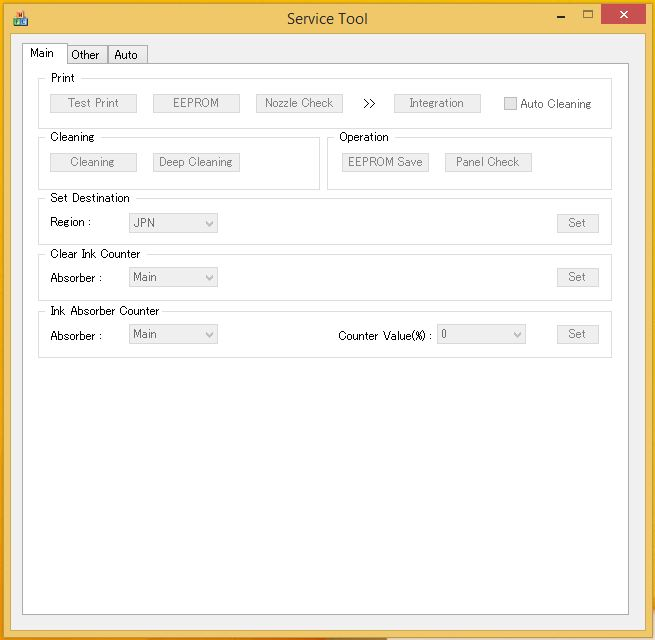 Some people may not know, but the tool service is a software that allows us to apply a configuration to the EEPROM of the main board of the computer. When we take the printer to service mode using the key combination in Canon printers almost always involves pressing the stop / reset button and the power button also pressed a specific number of times, depending on the printer you have. 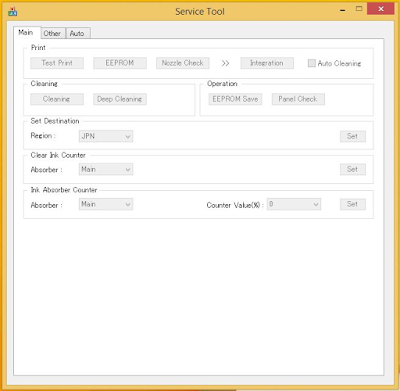 The printer is put into accepting any settings that send to the service program (service tool). If for some reason, the restoration of EEPROM for pads that are trying to implement is not compatible with the printer, or if it supports or changes in some small ways, the service tool will remain stuck and will not operate. Luck is that the printer is not damaged, at least so far I have not seen that this has happened, many may not want to turn and we should disconnect the power feeder cable after disconnecting the power cord may not want to turn other but this is solved leaving off for a moment and then connect the printer again. If you make process to enter service mode, and the printer has the error mentioned above is because currently not able to solve the problem with this tool service, below can write a comment with the printer model you have, I would gladly I will provide a link where you can get the right tool for your computer service and the procedure to reach operating mode.